Malala Yousafzai is a world-renowned Pakistani activist for female education and the youngest Nobel prize laureate. Malala Yousafzai is a world-renowned Pakistani activist for female education and the youngest Nobel prize laureate. She rose to fame after surviving being shot in the head by the Taliban on 9 October 2012 when she was returning home from school. The Taliban had banned girls from attending school where she lived in Swat Valley, Pakistan. 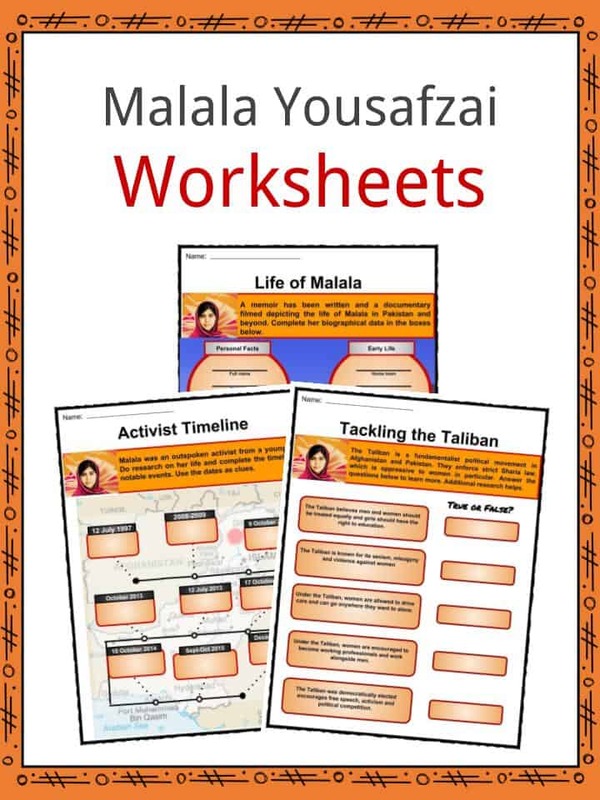 See the fact file below for more information on Malala Yousafzai or alternatively, you can download our 23-page Malala Yousafzai worksheet pack to utilise within the classroom or home environment. Malala was born on 12 July 1997 in the Swat District of Pakistan. Her family was poor and so she was born at home. Her father, Ziauddin, owned a school, was an educational activist and advocated for the education of girls in Pakistan, resisting Taliban directives. He is also a poet, like his father. 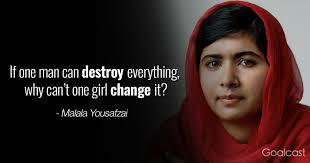 Fatefully, Malala’s name means “grief-stricken” and comes from an Afghan female poet and warrior, Malalai of Maiwand. She has two younger brothers. As a young girl, Malala learned Pashto, Urdu and English. She showed interest in becoming a doctor, but her father encouraged her to become a politician. At 11 years old, Malala began advocating for girls’ education. She was outspoken against the Taliban, stating, “How dare the Taliban take away my basic right to education?” Her speech was covered by newspapers and TV channels. Malala was active in a youth program that discussed social challenges through journalism, conversation and debate. 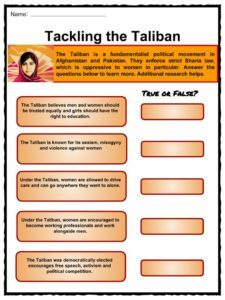 In late 2008, Malala volunteered to be a writer and correspondent for the BBC, covering the Taliban’s growing influence in the region. This was dangerous as TV, music, girls’ education and women going shopping had already been banned and beheadings were common. 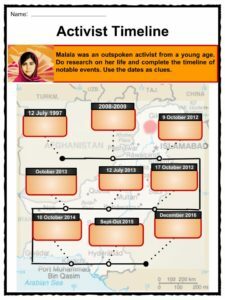 In January 2009, Malala’s first blog entries were published by the BBC under a pseudonym. 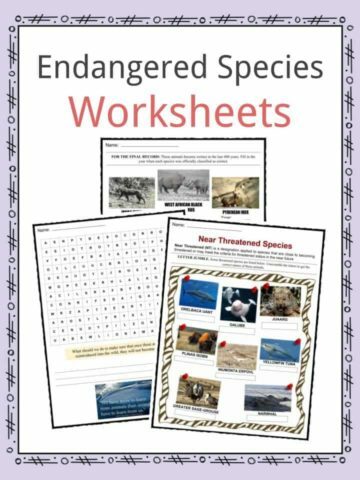 Excerpts were published in a local newspaper. Her school was then shut down. Only a few schools remained open and Malala and 70 other students were determined to attend. She continued to be outspoken against the Taliban. Conflict and between the military and the Taliban continued to in the Swat Valley, making life difficult. As Malala became more recognized for her views and activism, so life became more dangerous for her with death threats published in the newspaper and written on Facebook. On October 9, 2012, while riding on a bus home from school, Malala, now 15 years old, was attacked by a Taliban gunman. She was shot and two other girls were wounded. The bullet went through her head and neck, ending in her shoulder. The left side of her brain was injured. She was airlifted to a military hospital for surgery and remained in a coma for six days. When she was stabilized, she was flown to Germany and then the UK for further treatment. The attempt on her life was globally condemned. Malala made a remarkable recovery without brain damage and was discharged in January 2013. She received a cochlear implant to restore her hearing in February. 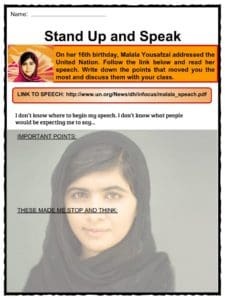 In October 2012, the UN Special Envoy for Global Education, former UK Prime Minister Gordon Brown launched the “I am Malala” campaign which demanded education for all children worldwide and especially Pakistan, by 2015. Over the course of 2013, Malala met with Queen Elizabeth and Barack Obama, who she confronted about drone strikes in Pakistan. On 12 July, on her 16th birthday, Malala delivered a moving speech to the United Nations calling for worldwide access to education. It has since been dubbed “Malala Day”. 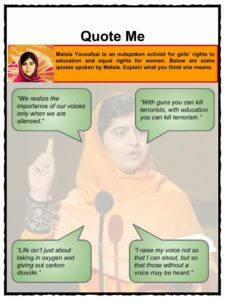 In 2014, she addressed the Girl Summit in London, advocating for girls’ rights and received the World Children’s Prize for her activism. On 10 October 2014, Malala became a co-recipient of the 2014 Nobel Peace Prize, sharing it with another children’s rights activist, Kailash Satyarthi from India. She became the youngest laureate. Upon her graduation from high school, she expressed her desire to return to Pakistan and run for prime minister. Come 2018, however, she stated that the world had enough presidents and prime ministers and she could bring change in other ways. In October 2013, Malala’s memoir I am Malala: The Story of the Girl Who Stood Up for Education and was Shot by the Taliban, was published. 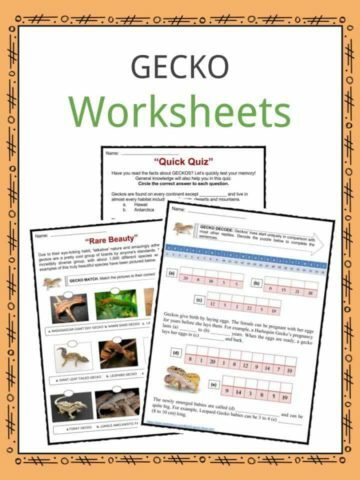 Come 2017/8 it had sold approximately two million copies worldwide, however, it was banned in Pakistan schools as a “negative influence”. In 2015, she was the subject of a documentary He Named Me Malala, which tells the story of her life and ordeal and was nominated for an Academy Award. In 2017, it was announced that a Hindi biographical film would be made. 2017 saw Malala publish an illustrated children’s book called Malala’s Magic Pencil. In 2018 it was announced that she would write another book titled We Are Displaced: True Stories of Refugee Lives. She appeared on Netflix’s My Next Guest Needs No Introduction with David Letterman, speaking about the Taliban, forgiveness and her life in the spotlight. She runs the Malala Foundation that advocates for and invests in girls’ education and rights. This is a fantastic bundle which includes everything you need to know about Malala Yousafzai across 23 in-depth pages. 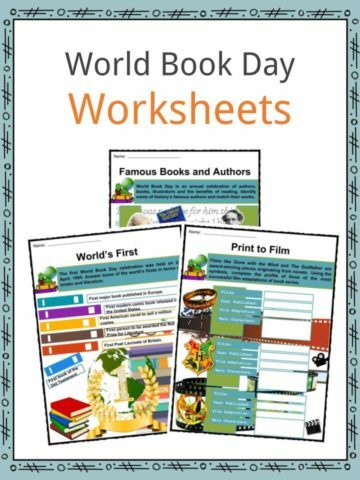 These are ready-to-use Malala Yousafzai worksheets that are perfect for teaching students about Malala Yousafzai who is a world-renowned Pakistani activist for female education and the youngest Nobel prize laureate. She rose to fame after surviving being shot in the head by the Taliban on 9 October 2012 when she was returning home from school. The Taliban had banned girls from attending school where she lived in Swat Valley, Pakistan.